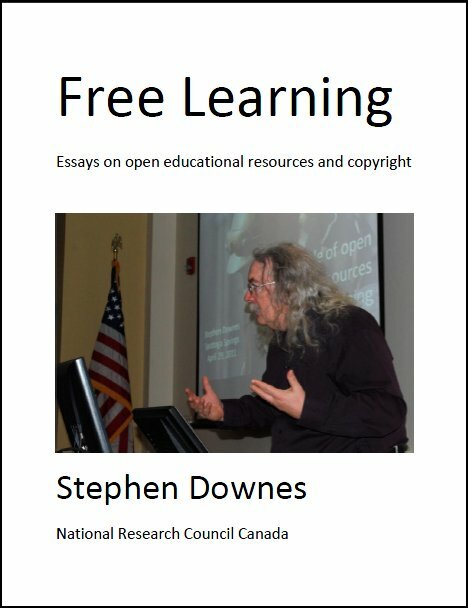 How would all those companies which have spend time and money developing web-based training software systems feel if a competing product were released freely into the public domain? Do you think this would make companies think twice before expending resources on developing or enhancing such software? In fact, what you have just described is the emerging business model on the internet. Most internet software may be obtained for almost nothing, or in fact, nothing. The obvious example is browser software, which is now free from both Netscape and Microsoft. Plug-in viewers, such as Acrobat Reader or Vivo Active, are also free. Free email clients abound, and the world's most popular quick messaging software, is also free. Moreover, most web services, such as search engines, email accounts, chat areas and personal pages, are also free. The reason why software companies do this is that they realize that their profits are not to be made in quick client - or even server - sales. These transactions are 'once-of' types of transactions: the buyer makes the purchase and then disappears. But internet commerce is about much more than quick sales. It is about developing an ongoing relationship with a customer and generating repeat business. Now it may seem that repeat business in a market where your product is free isn't a good model. However, repeat business can generate revenues far in excess of what would be obtained by selling software. I don't work for Macromedia, Allan Communications, Asymetrix, or any other WBT software vendor. I would love to get my hands on a powerful development system without paying U$1,000 for the license. But what would it do to the industry as a whole? As it stands, if it costs $1,000 for a license for software to delivery courses on the internet, development of this area of commerce will be slowed. Only larger companies and institutions will be able to take the leap. And indeed, the way things are at the moment, costs are much greater than that. In addition to hardware and an internet connection, educational institutions need to purchase a variety of software products in order to prepare and deliver course materials. However, suppose an essentially complete educational server package, with course developemnt tools, were made available for educational institutions free of charge. This would accelerate the industry, enabling a proliferation of web-based courses. It would allow institutions to offer them at substantially reduced rates. Demand would increase sharply - people hunger for education, but for the most part, they have neither time nor money enough to obtain it. If the manufacturers of such a server tool could divert even a small percentage of all educational traffic to their site, or if they were in a position to place advertising or other messages on educational sites, then they could realize much greater gains than they could by merely selling software. Instead of accessing a limited market of reasonably well-off educational institutions, they would be accessing a much larger market of students. Given this, it remains to my astonishment that educational server software is so expensive today. Moreover, they sometimes punish successful institutions by charging on a per-user basis. This leaves them in a very vulnerable position, since their market share is soft (any market share in this industry is soft - just ask Netscape) and their revenue stream is limited. Were a free system charging nothing more than advertising rights to come along, they would be in jeopardy. And they would be in jeopardy all the more so because a free system would fairly quickly become widely used. This allows for the establishment of broad-based standards for educational materials (ie., educational materials would be formatted in a particular way). Several bodies are already trying to institute standards, but without a widely accepted software package on which to base those standards, their efforts are more an exercise in theory. Widespread standards would pose problems for current manufacturers: either they would have to accept the standards, in which case they would have difficulty charging for a system which does what the free one does, or they would refuse to accept the standards, in which case they would face increased marginalization of their product. If software companies and investors really want to see a return from education on the internet, they will develop and distribute this package now. For otherwise they face a much wider threat: a completely free non-commercial educational server package. Because the other aspect of internet commerce is: if companies don't develop it quickly and cheaply, somebody builds it as a hobby project and distributes it for free. That's how we got Linux. Views Today: 0 Total: 222. Last Updated: Sept 08, 2018 05:52 a.m.